"The practice of M&A and corporate law provides repeated opportunities to cut through complex issues for our clients. At Freeborn, we display our core value of effectiveness every day, by explaining complex issues - ranging from deal structure to tax effects to indemnification to closing risk - in clear and concise terms." Jeff Mattson is a Partner, Co-Leader of the Firm's Corporate Practice Group, and Chair of the Firm's M&A Team. Jeff represents private companies, private equity funds, family offices and public companies in mergers and acquisitions, entity formation, private placements and other general corporate matters. 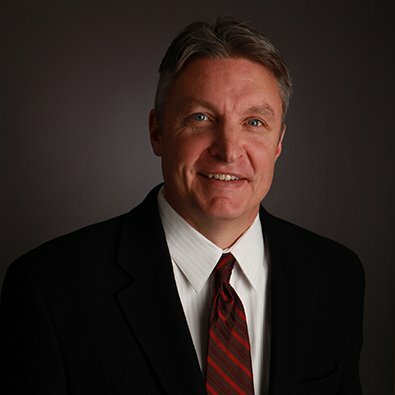 He serves clients in a broad range of industries, including retail, food and beverage, insurance, chemicals, transportation, healthcare, manufacturing and service businesses. In his career, Jeff has developed extensive M&A experience, closing over 300 M&A transactions. He also advises companies on private placements, start-ups, equity compensation and joint ventures. Before joining Freeborn, Jeff was Vice President, General Counsel and Corporate Secretary for Gerald Stevens, Inc., a start-up retail company that was listed on NASDAQ. He previously served as Securities Counsel for NYSE-listed W. R. Grace & Co.
Sale of a software application development business, based in India and the U.S., to a U.S. competitor. Sale of a health care data analytics company to a public company competitor. Sale of partners’ interests in a food ingredients brokerage business to the remaining partner. Represented a family office in the sale of its successful start-up in the Illinois video gambling industry. Represented a printing business in the purchase of a printing facility from one of its competitors. Represented a professional partnership in the sale of two of its divisions. Sale of a distributor of specialized tools to a public company with a competing business (seven years after representing the ownership group in its acquisition of this distribution business). Represented a manufacturer and distributor of aircraft parts in the acquisition of a legacy aircraft parts business from an aircraft engine manufacturer. Sale of a leading manufacturer of nurse call stations to a diversified public company. Sale of a consumer goods brokerage services provider to one of its competitors. Represented a start-up internet service provider in multiple acquisitions as part of its roll-up strategy. Sale of a manufacturer of high-performance automotive parts to a private equity firm. Sale of a minority interest in a franchisor of fresh fruit bouquet retail stores to a private equity fund. Represented a private equity fund in the sale of a leading provider of vehicle service contracts. Represented a Chicago-based private equity firm in connection with its financing and acquisition of a leading American precious metal dealer. Represented a Chicago-based private equity firm in connection with the financing and platform acquisition of a leading provider of outsourced electronics repair service programs. Numerous sales under Section 363 of the US Bankruptcy Code, including the sale of a telecommunications company that was named “Large Transaction of the Year” by the Chicago/Midwest Chapter of the Turnaround Management Association. Acted as lead counsel for a Class 1 Railroad in connection with the $380 million acquisition of three railroads and a vessel transportation company. Sale of a Midwest-based specialty chemical business to a private equity fund. Sale of a family-owned packaging business to a strategic buyer. Represented a Chicago-based mezzanine fund and New England steel company in connection with the sale of substantially all of such company’s assets to a publicly traded strategic buyer. Presenter, "M&A 101: Legal Issues in the Sale of a Business," National Assocition of Presort Mailers 2019 Annual Conference (February 2019). Co-presenter, "Drafting and Negotiation of Executive Employment Agreements," Chicago Bar Association (April 2015). Presenter, "When to Consider a Private Equity Deal and How to Make It Work," Webinar (June 2013). Presenter, "What’s the Deal? Managing Merger and Acquisition Risk,” Marsh's Academy of Risk (October 2010). Presenter, "Distressed M&A: Trends in 2010," (February 2010). Presenter, "Role of the CFO," Heartland Angels (November 2009). Jeff Mattson’s comments are included in the article “Clean water as a family business,” which was published Feb. 13, 2017, by the Chicago Daily Law Bulletin. Freeborn & Peters LLP is pleased to announce that the firm has received high honors for its Corporate/M&A and Private Equity practices in Illinois in the 2014 edition of Chambers USA. Jeff Mattson Presents, "M&A 101: Legal Issues in the Sale of a Business"
NAPM Annual Conference, held February 12 – 14, 2019.